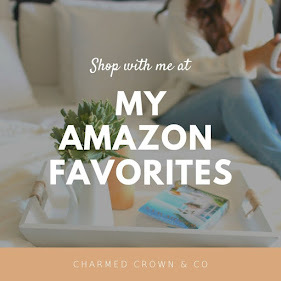 This post contains affiliate links to items I personally have purchased and/or highly recommend. These Spring looks are inspired by So Cal's most popular outdoor festival, Coachella and I don't mind it one bit. I love boho style anything, I am a hippie at heart, and yes though I love a lot of different styles and fashion wear, this is by far one of my favorites. Incorporating just a few bohemian pieces to your closet is all you need to pull off the look. I love wide leg pants with a print because they have character and are oh so comfy! And flowy tops take make any outfit just as cute. Turquoise, gold and silver jewelry pieces, cross body bags, print maxi dresses and wedges are so easy to find either at a local thrift shop or even through the retailers below, great quality at great prices. Lauren Conrad is not only one of my favorite designers but lately she's been executing some of the most beautiful pieces through Kohl's at reasonable prices and I've listed a few of hers below too. Though I won't be attending the festival because I'd probably be the oldest one there, okay maybe not the oldest, but I'd feel pretty old. Its about a month away so I know some of you gotta get planning! I love all the fashion vibes and music and the comfort of all the different styles that you can incorporate while wearing a cute outfit for such an event. I hope this inspires you to get into that boho vibe or if you will be attending the festival, these are some looks you'll want to rock out in for sure.